It is funny how a simple image has the ability to make you feel in hundreds of different ways. Some images make you laugh and amuse you while other can scare you or make you confused. It seems that a single photo can be really influential and leave its mark on you! The internet is full of pictures that would cause a wave of mixed feelings inside you. In most cases these feelings are mainly amazement and even shock! The following list of images will not cause such strong feelings in most people. However, we guarantee that you will be puzzled or intrigued by most of them. One look at them is enough to make you wonder what is actually going on in them! This is actually good, because curiosity makes you exercise your brain. 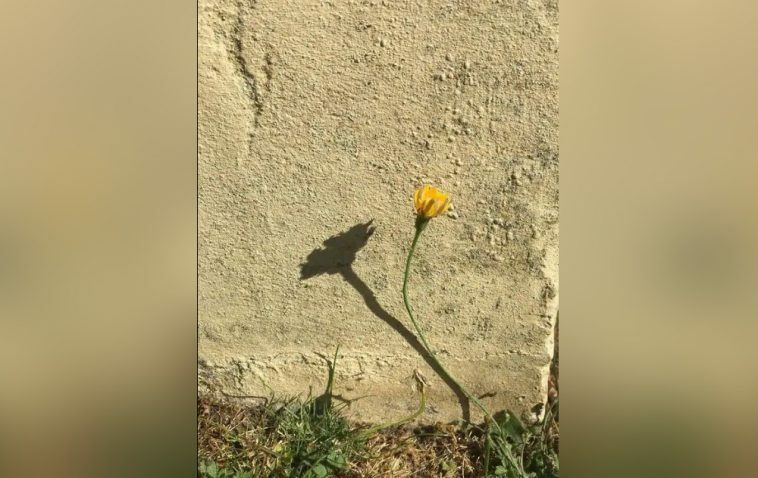 Take the flower from the photo above, for example – its shadow looks completely different from the flower itself! It is all a matter of perspective. Enjoy these images and pick your favorite one! Real estate agents have all kinds of tricks up their sleeves! They will tell you everything you want to hear! Of course, they will also spare you the details that can make you pass on a certain offer. However, sometimes these people are finding it hard to decide if a certain feature about a property is good or bad. This sign proves it! One of the sides of this sign says that the house was actually haunted, while the other side denies it! Maybe the sign was changed after some time, who knows? 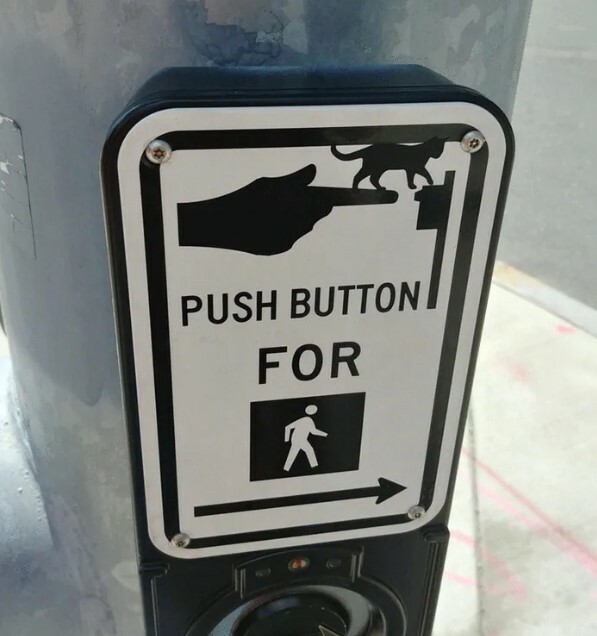 This pedestrian traffic light sign got an unexpected makeover! 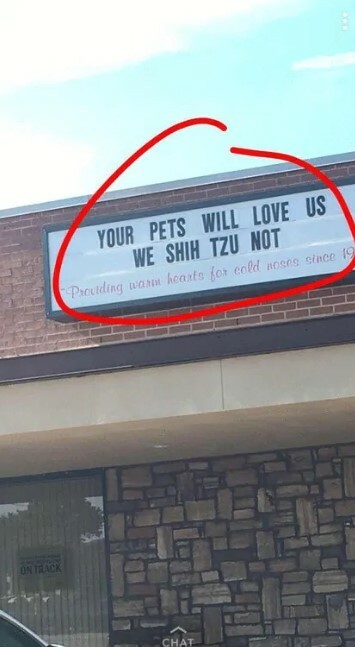 Some people would probably fail to notice the small addition to the sign. However, someone saw it and shared it on social media. We tried to guess the meaning behind the added cat, but we were not able to guess it. Maybe it was the only black sticker the vandal had, but at least it blended perfectly! We all know how a typical pizza box looks like. Most of them are white and feature the logo of the food chain. However, when you are abroad and decide to order a pizza, you might be surprised! The person who posted this was very curious about the printed image on the pizza box, and for good reason. 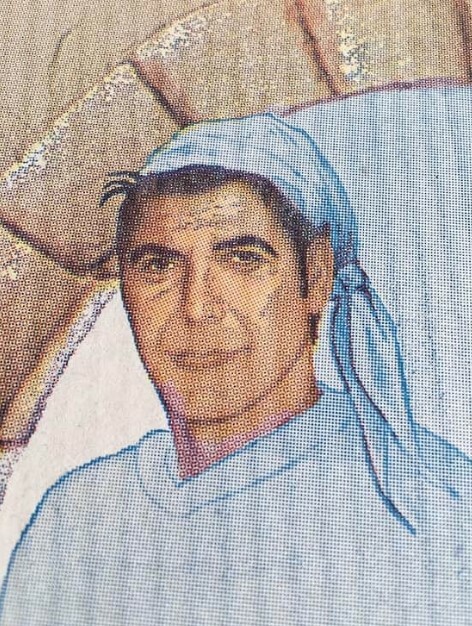 It does not feature any logo, only the color image of a man! He might be the company founder, or maybe he was put there for his good looks to serve as an advertisement. We would never know the answer to that question. Here is one sign that you can definitely consider to be strange. The typical male and female bathroom sign was replaced with something that suggests different categories! It seems that only mystical creatures were allowed in this bathroom! However, there is one more detail that might be the key feature. The sign says that everyone is welcome to use the bathroom as long as they wash their hands. 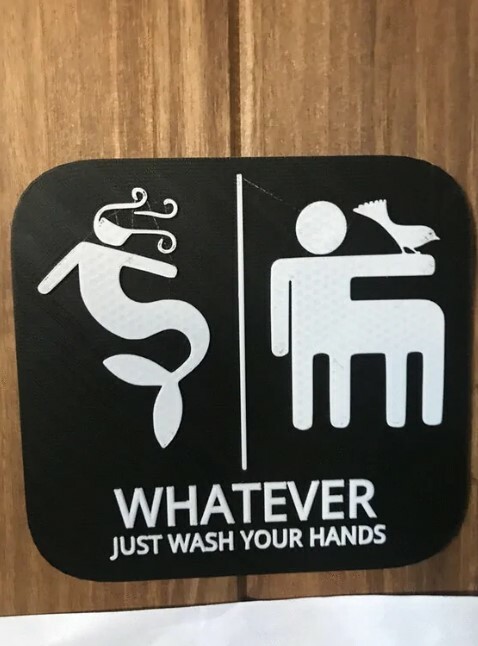 We think that the sign is actually a clever reminder for people to look after their basic hygiene. We have all seen the wonderful things that nature is capable off. It often serves the best views that take our breaths away with ease! However, this picture shows something different. It looks like it was man-made, but it is not! 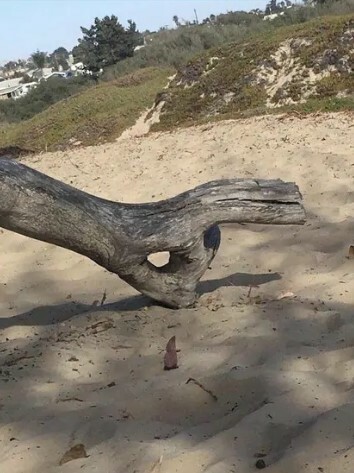 This tree was shaped only by nature’s will, and it looks like a hidden message. Nature is probably trying to say that at least in one way we were doing well! 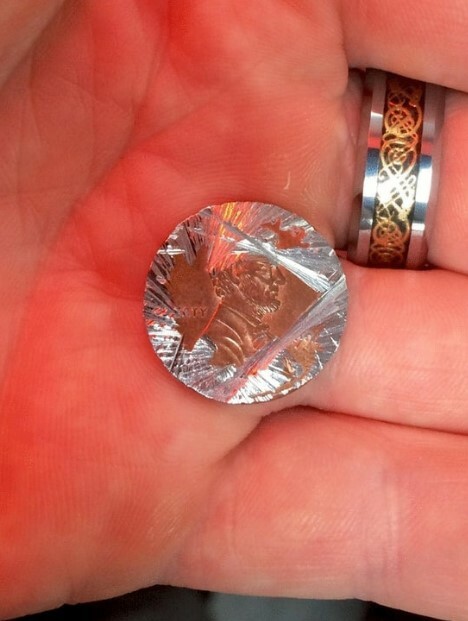 If you could ask this coin about what happened to it, the answer might be worthy of a horror movie! As you can see, it looks like it was severely grinded all over the edge. However, it was not done with an angle grinder or another power tool! The penny was simply tossed inside the washing machine by accident. It is actually strange to see it in such bad state because we have done the same and the coins come out of the washing machine perfectly preserved. Some business owners are really focuses on the marketing of their business! In order to attract new customers, you must have a strong brand image and to promote yourself all the time. However, expensive marketing campaigns and ads might do the job but what you really need is creativity! Sometimes all it takes is a witty sign to make you popular, and this place really nailed it! 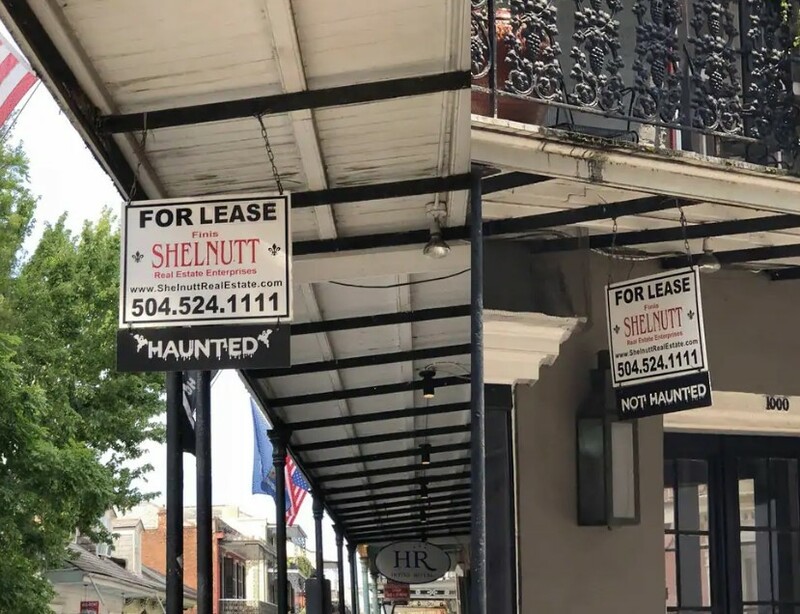 Their clever and friendly sign is more than attractive and we would love to check the place out! We all love the huge soda machines in cafeterias and diners, but this is one is a rather special one! As you can see, the brand offers cane sugar soda! It might sound strange at first, but you need to try it in order to see for yourself how good it actually is! Of course, you will not find it in a health food shop, but you won’t find any other type of soda as well! 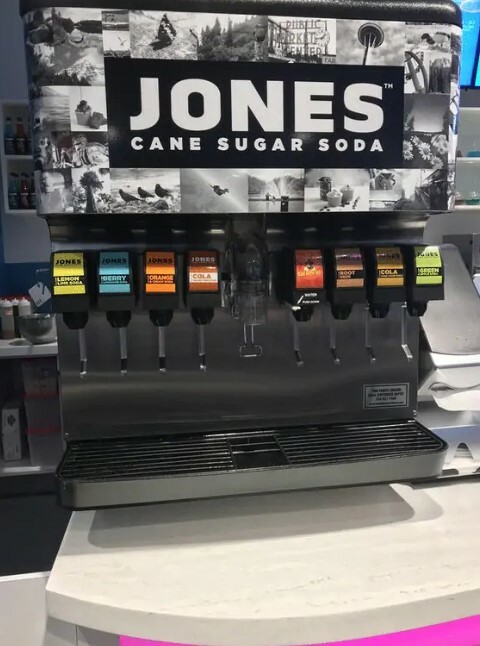 We would love to try the lemon flavored cane soda from this machine! We bet that it will be nice and bitter, exactly the way it should be. Upon taking a first glance at this photo, you might actually be grossed out! We totally understand, because there is a good reason for that. 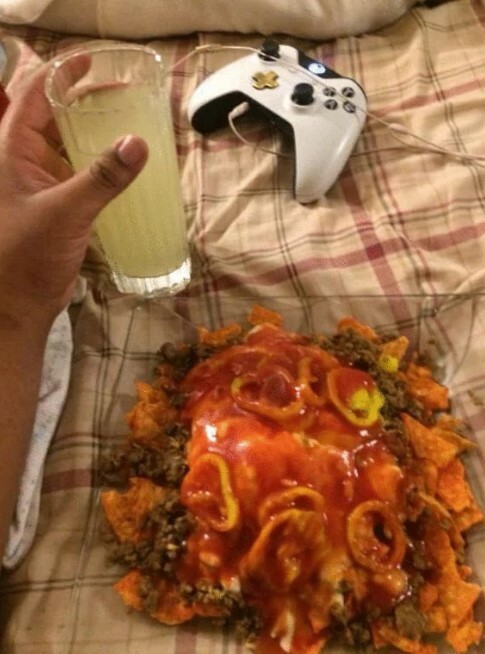 Nobody would put that kind of food directly on the bed cover and eat it! It might seem that this person did exactly that, but it is not the case here. Actually all that food is on a huge glass plate! The square shape of the plate makes I harder to spot, but you would eventually find its edges. If you love cartoons, you will definitely recognize this silhouette! 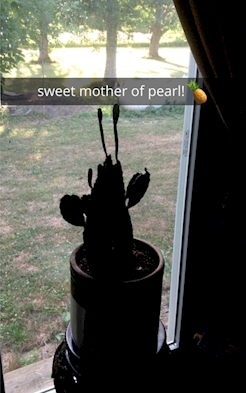 Despite the fact that it is just a cactus, it definitely resembles one famous animated character. We are sure that the angle of the photo makes the plant look that way, but the resemblance is uncanny! 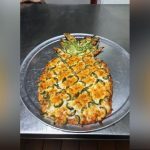 It makes you want to go to the Krusty Krab and order something tasty! Everyone likes to have a treat while watching a movie or just relaxing at home. However, people’s taste in food may vary, and this photo proves it. 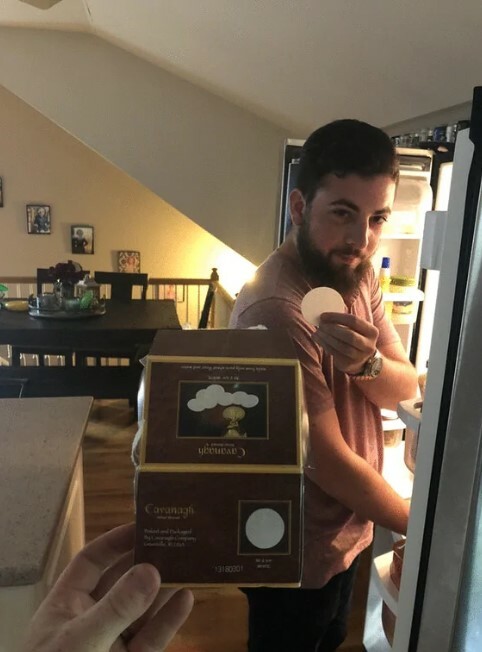 The controversial image shows a man who seems to be about to snack on some sacramental wafers. These traditional wheat pieces of food are used mostly in Christian rituals. We guess that using them instead of crackers is a bit weird, but as long as this person is happy, then it is okay, we guess. After all, it is only food. After we saw this image, we knew that we would check every deck of cards we have at home to see if they were the same. On first glance there is nothing special about the image. It features only a playing cards and that’s all. However, if you take a closer look, you will notice that there is an ‘8’ hidden in between the diamonds! The clever design may actually turn out to be accidental, but we doubt it. 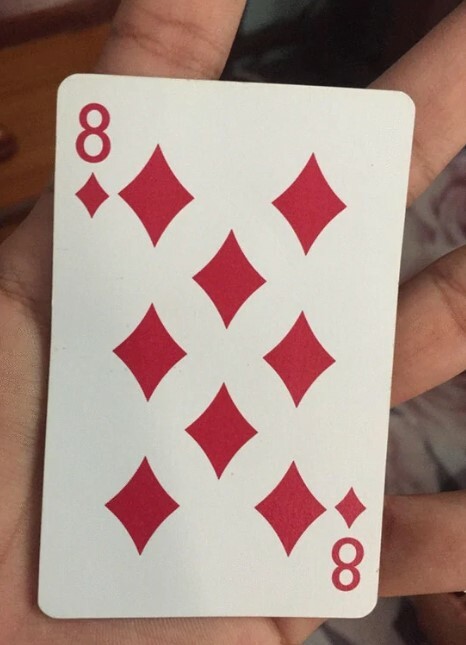 We wonder if the other ‘8’ cards of the deck had a similar pattern, but we have no way of knowing that for sure. This photo is a proof that you can combine the impossible and make it work! What you see is a couple of rubber ducks floating in a puddle of water. This is where it gets interesting. It turned out that they were out there on purpose. 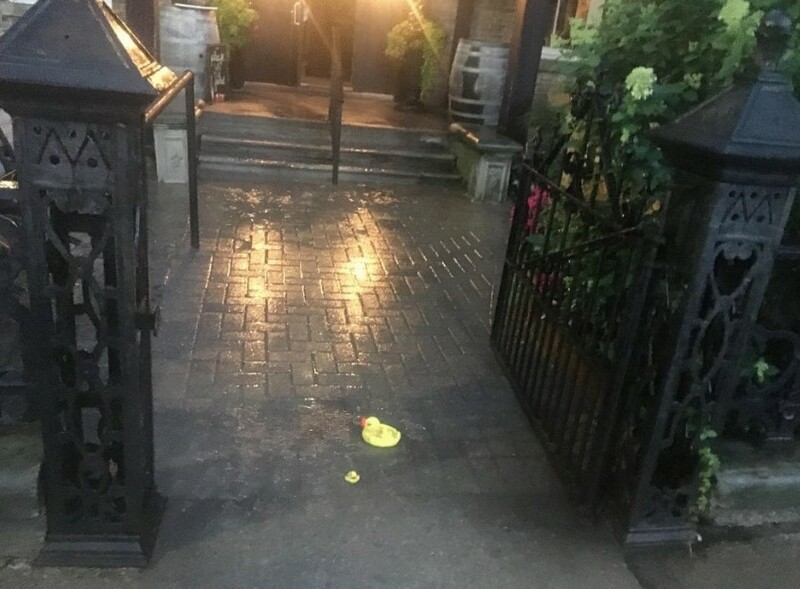 This is actually the entrance to a pub, and the manager decided to put rubber ducks in the puddles to protect the customers from stepping inside them. 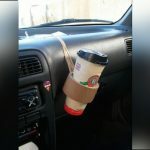 It may seem as a weird idea at first, but it shows that the place takes care of their customers! And the sight of yellow rubber ducks floating around is also very cute! We all love Domino’s pasta, but this photo is not about the quality of the food. As you can see someone is trying to warm the dish by putting it in the sink and rinsing it with hot water! The idea is borderline ridiculous and we wonder why someone would even try it in the first place. We guess that this person did not want to wake up everyone by turning on the microwave. However, we believe that putting in inside the stove would be a better idea than letting it sit in hot water. We hope that eventually this person was able to enjoy the meal!